Lisa Moore, "Canada Reads” latest winner and a New Yorker Best Book of the Year author, is known for subtly crafted narratives that are at once sharp and impressionistic. Through an acute ear for dialogue and pared down prose, Moore's characters are startlingly present and instantly persuasive. In her new novel, Caught, Moore’s dangerously appealing new protagonist is unlike any she's imagined before: A modern Billy the Kid, a swaggering folk-hero-in-the making who busts out of prison to embark on one last great heist and win back the woman he loves. Caught begins with a prison break. Twenty-five-year-old David Slaney, locked up on charges of marijuana possession, has escaped his cell and sprinted to the highway. There, he is picked up by a friend of his sister’s and transported to a strip bar where he survives his first night on the run. But evading the cops isn’t his only objective; Slaney intends to track down his old partner, Hearn, and get back into the drug business. Along the way, Slaney’s fugitive journey across Canada rushes vibrantly to life as he visits an old flame and adopts numerous guises to outpace authorities: Hitchhiker, houseguest, student, lover. When finally he reunites with Hearn just steps ahead of a detective hell-bent on making a high-profile arrest, their scheme sends Slaney to Mexico, Colombia, and back again on an epic quest fueled by luck, charm, and unbending conviction. 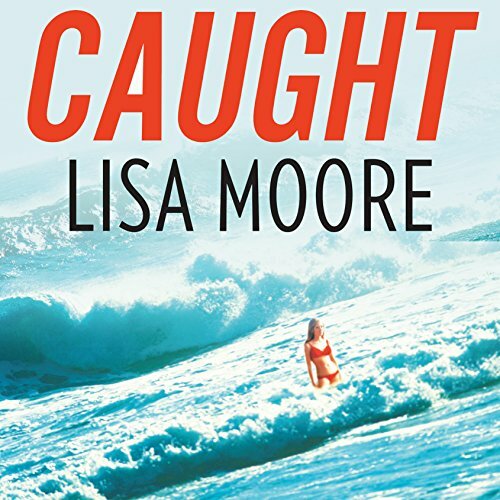 Moore's most plot-driven novel to date, Caught is a thrillingly charged escapade that thrums with energy and suspense and deftly captures a moment in the late 1970s before the almost folkloric glamour surrounding pot smuggling turned violent. Ripe with bravado, love, ambition, and folly, Caught is about trust and deceit, about the risks we take for the lives we want and the mistakes we can’t outrun. ©2013 Lisa Moore. Recorded by arrangement with Grove/Atlantic, Inc. (P)2014 Audible, Inc. The narrator was not able to pronounce Newfoundland and a long list of other words for which Newfoundlanders have a unique pronunciation. His narration over all was enjoyable, however every time he said something related to Newfoundland I was jolted. I finally gave up listening and checked the book out of the library. I would have asked Audible for my money back, but I realize the fault was not with Lisa Moore and feel she should be paid. If you have never been to Newfoundland, enjoy the book. Then check out the Newfoundland and Labrador tourism commercials on uTube, to hear how we sound.